Josh and I tell everyone who asks us that we love our apartment. Despite being located in a low-income (see: super cheap! yay!) housing area in a Rochester suburb, we find it to be spacious, tidy, and chic–not to mention full of recently replaced features such as new carpeting, new paint on the walls, and new kitchen cabinets. As our lease is coming due this next month, we have no intention of relocating. We love Rochester culture, we love living on the west side of the city, we love our local family and friends, and we love our little bungalow. We don’t even mind the snow! Of course, after a year living anywhere most people would be ready for a change of scenery, and we certainly are! Watching HGTV nonstop has us itching to update our space 🙂 The victims are our bedroom and living area. We’ve decided to switch up the color schemes and accessories in each space. Stay tuned for how we make this change without so much as opening a can of paint! For now, here are some “before” pictures of the two rooms. Moving on to the bedroom! The fan in the background kind of ruins the ambience here . . . but get a load of my palatial bed! This rocking chair is a gift from my grandpa for our future nursery 🙂 I suppose the teddy bears will be more appropriate in there than in our bedroom . . . This bookcase of leather-bound classics (which I consider as the focal point of the room) was a gift to my little sister from her great-uncle. She gifted me only the ones she “didn’t enjoy reading now and then.” Lucky me! Yes, that picture frame is empty. Don’t judge. I haven’t decided what to put in it. Pictures of these rooms post-remodel are in the works! Mostly because the remodel itself is still in the works . . .
Too much beauty and epicness (epicosity? IDK) to comprehend all at once. Must. Watch. Again. Reminds me of how I feel watching PUSH Physical Theatre. P.S. Digging the front blonde’s mad teased do. Whether it’s inspiration or encouragement you need today, these are six contemporary films from a variety of genres and styles that will feed, challenge, and change the artist in you. I’ve added a few words about what I personally got out of these motion pictures. You know, because I’m good with words and stuff 🙂 It’s what I do, haha. This quirky Owen Wilson drama with a little humor thrown in (I mean, it’s Owen Wilson) is an Art and Lit major love fest. 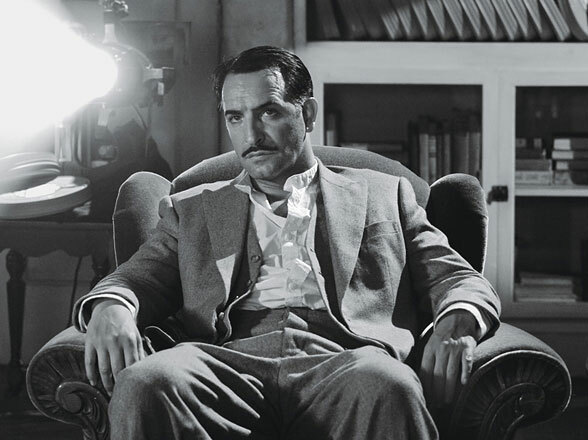 Seeing names like Pablo Picasso, F. Scott Fitzgerald, and my personal film inspiration Luis Buñuel (the movie features quirky inside jokes about his works that made me feel very smart indeed) just sets me squirming with glee. This statement about the past not merely about vintage trinkets. It is about the temptation for artists to think that nothing new can be done in the era in which they live–that everything they and their contemporaries create is dull, average, and uninspired while the works of those who came before are the only true innovations. As the film makes plain, in the future, artists may look back on today and wish that they lived in this inspired bygone age. Define your era. Don’t let it define you. I know. I know. Sappy though this romantic film may be, it has two very powerful messages about the life of the artist. The first is that it is important to know why you want to be an artist. It doesn’t so much matter why Rachel McAdams’ character Paige has decided to attend art school. What is important is the very personal journey she takes to discover why she fell in love with art (and Channing Tatum) in the first place. The second is to not be afraid to be impractical. I think most people who have decided to be “professional” artist have already overcome this step, but it’s nice to know that others are making the same crazy life decisions you are. Misery loves company! There has never been a film that more successfully demonstrates the profound impact that literature can have in the life of an average young person than The Dead Poets Society. I think even the partly biographical Freedom Writers (not a personal favorite, great story but not-so-great movie) comes up short in comparison to Dead Poets. From standing on their desks and quoting “Walt Whitman” to closing their eyes and blurting out whatever they see, Dead Poets is all about the students at a repressive prep school learning to let down their inhibitions and just create. While not all of them are or want to be artists in the orthodox sense, they all have something to gain from learning the lessons of eccentric Professor Keating (a surprisingly serious Robin Williams). Art and literature has the power to set them free. 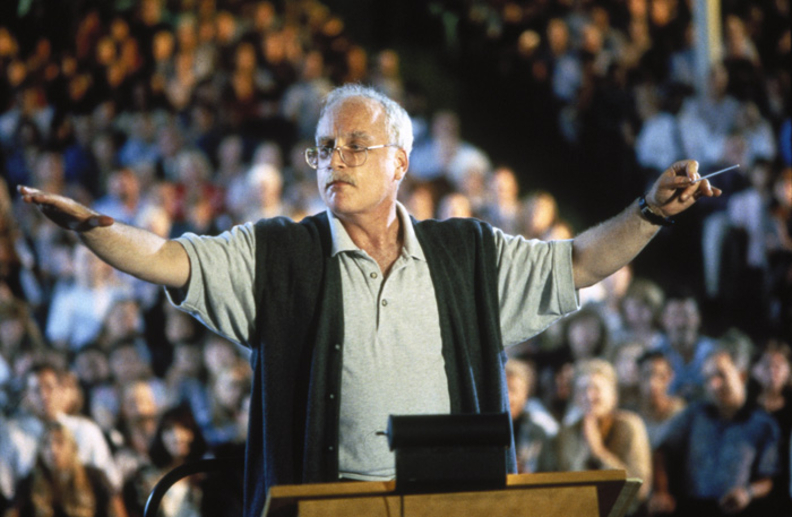 When Richard Dreyfuss’s character, Mr. Holland, gets a job teaching music at a public high school, he is tasked with the weighty feat of making a roomful of teenagers care about his deepest love–music. It could just be the soft spot in my heart for the Deaf community, but I found this movie to be absolutely precious. The moment when Mr. Holland signs “Beautiful Boy” by John Lennon to his Deaf son Cole–bridging the gap between his language of music and Cole’s language of ASL–just makes me cry every time. And the final scene when his symphony is played by his former students who call themselves his “real symphony?” So many tears. The lesson to be taken from this film? Taking a day job doesn’t mean giving up your dreams of being an artist; it means embracing new ways of pursuing those dreams and encountering brand new ones in the process. I may have left out Freedom Writers, but Hilary Swank made it onto the list anyway. Also a very sappy movie, P.S. I Love You is unique in the sense that one of the film’s main characters is dead for 90% of the film. I will come out and say it, this is not a good love story. It is, however, a good art story. The main theme of the movie is to stop making excuses for not doing what you were made to do. If your business is to create, don’t let any obstacle (no matter how devastating) keep you from creating. I also love that this movie is about an uncommon and unorthodox art form. Shoemaking! How unique is that? I believe that Rick Groen of The Globe and Mail perfectly sums up the poignant focus of Best-Picture-Oscar-winning film The Artist. This “love letter to cinema” so dubbed by the film’s director Michael Hazanavicius. Is all about the balance between satisfying an audience and satisfying oneself in the changing worlds of art and media. The ultimate message of the (silent and black-and-white) picture is all about art for the sake of art. I hope that curling up to watch one of these films will give you the courage to continuing pursuing your dreams as an artist. Always remember: If you believe you are an artist but can’t afford to pursue your art “full time,” that part of your identity does not go away from 9 to 5. Stoke it. Bring it to life in every possible moment. I know I’m a total sap when it comes to music, but this song literally makes me cry tears of joy every single time I hear it. There is just so much right about this style of music. It’s full of passion, simple pleasures, and the joy and beauty of the everyday struggles of this life. It’s a snapshot of a culture, really. That is a big factor in why I finally got turned on to country music after all this time. It’s about a culture of hope and of happiness in any circumstance. Oh, and there’s also amazing food! But that’s something that I’ll have to experience for myself rather than vicariously through a song. That would just be too painful . . . Anyway, I’m in love with this band, in love with their music, and singing this song in the rain today.